Just won this beauty at an estate sale auction. It is missing the needle clip(?) the thing that holds the needle in place. Do I have to find the matching part or is there a universal part for it? I've read through many of these threads and found some very good information, thank you. I would like to know if anyone knows of a site that offers the old tensioners complete for the HA1 machines. The closest thing I have found is for the Singer 15-91 but they look to be backwards, meaning the spring seems to come out on the left where the HA1's that I have come out on the right side. 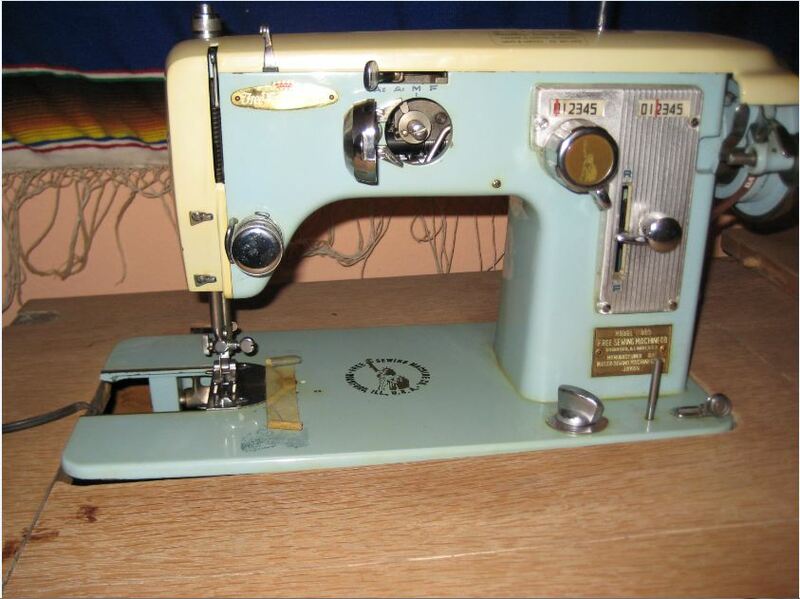 I've seen plenty of those on sewing parts online, you may have to do a little research to find the right one. What part do you need? Just a part or the whole thing? I'd like a couple new complete. If you were talking to terabob, I apologize. Last edited by MarkDean; 08-28-2018 at 08:26 PM. Feel free to ask questions or to pm. Last edited by miriam; 08-29-2018 at 02:58 AM. ‘Taming the 15 clone tension, well maybe’ is the title. The link failed to open for me. You may have to use search to find it. It is a discussion of 15 clone tensioners. I was hoping to find a source for available tensioners for these machines, It just seems with all the tension units available there would be one that just bolts right on, only I don't know which one that would be, I hoped someone here would. The one that started me on this quest was the first "clone" I bought and it's tensioner had been taken apart and parts lost, only I didn't know what parts those were because I was unfamiliar with exactly what it should have. I have since found the exact match on ebay, but even though I no longer need one for this machine I still would like to know if any exist new that will work as replacements. I doubt if you can just pop any old tensioner in. You can buy the whole plate with a rebuilt tensioner from somebody who has extras laying around... it sounds like that is what you did. Last edited by miriam; 08-29-2018 at 03:08 PM. It took me a bit to find out just what was missing, they obviously had broken their spring and then dismantled the tensioner to get the parts and fix it, but then never did. The back plate for it was missing, the spring, and the small stop washer. I found one on ebay complete with the nose plate and another that was just all in pieces, so I bought both. I'm just starting with this, so I had no "parts" laying around to fix it and wasn't sure exactly what was missing. Now I know that particular tensioner like the back of my hand, but still would like to find some complete. I have a hunch that the The Singer HA #17 tensioner can be made to work and will look right on the machine (like original) but I haven't bought one of those yet to play around with it and find out. I bought out an old sewing machine guy so I have some parts laying around but not always exactly what I need. Like Miriam said in the other thread, it's a badged Japanese machine. It could have been sold under a hundred different names. You probably won't find a manual under the name, you'll have to go by pics. Same with the cams, try to find a pic that shows a machine with its cams, then you'll know what to look for. Cam boxes rarely have a name on them and there are tons of different ones. 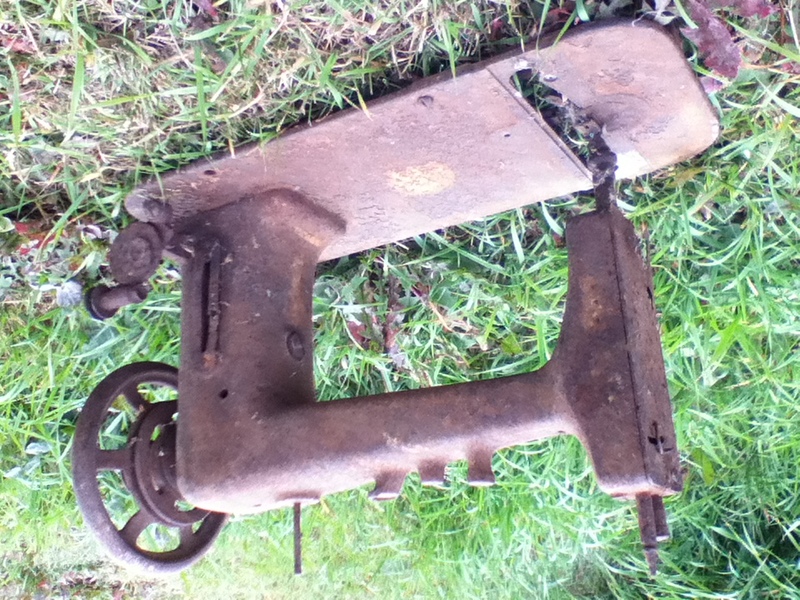 Hey, I found this old sewing machine in the bush at my place. Anyone have any idea what brand it is? 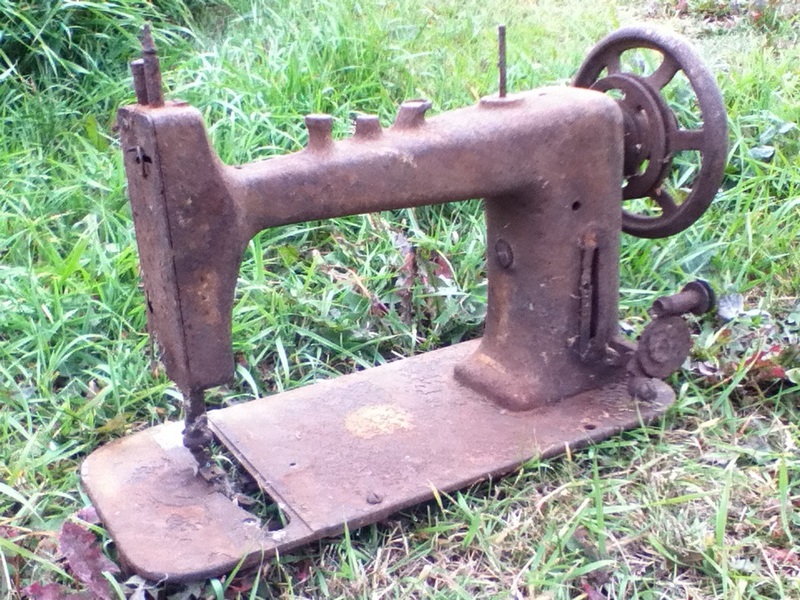 I have been gifted a vintage Singer sewing machine , SN# G 4070270, it appears to have been a treadle machine at one time minus the cabinet....Where could I find more information on this machine? You may have a badged machine, which means there may be many other machines like yours but with different names on it. Perhaps if you start a new thread and post a picture of your machine. Photos need to be reduced in size to be able to post on QB.